Talbot House was first established in 1964 and has since provided patients in the local area of Louisville access to housing that they can utilize while they are undergoing treatment for the addictions that they are suffering from. 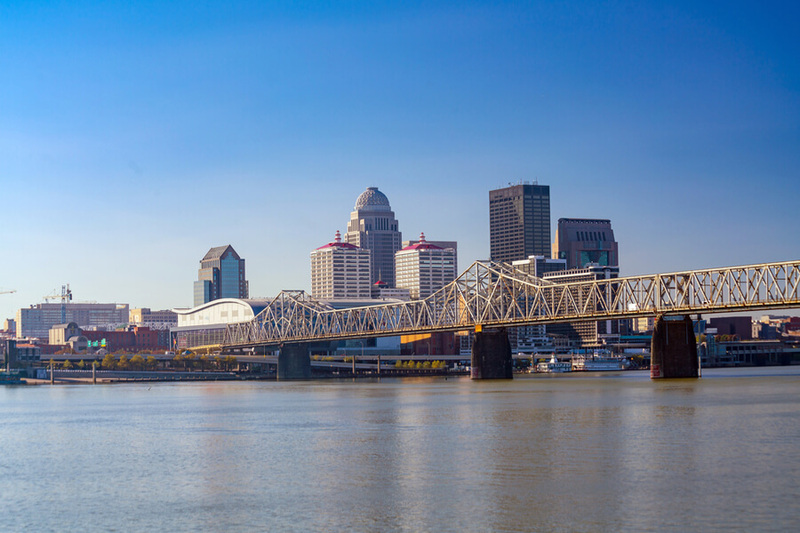 The center is considered one of the very first in Louisville to specialize in providing only male patients access to a sober living environment to assist in the recovery of their addictions. All patients interested in becoming part of the sober living program offered at the Talbot House will first need to undergo detoxification at an appropriate and approved facility in the local area. Since the company was established, they have grown significantly and now operates two other houses as well, including the Wallace House and the Hoard House. All of these houses are utilized to ensure male patients who are still recovering from their drug or alcohol addiction can gain access to housing in an environment where these substances are not tolerated. Talbot House only provides housing to patients who are already part of an outpatient treatment program and all patients must be male. The company currently owns three different houses. A male patient who comes to Talbot House will be placed in an appropriate facility, which will primarily depend on the availability of beds within each of the houses. The main facility, known as the original Talbot House, is able to accommodate up to 18 male patients at a time. The Wallace House is a somewhat smaller building that can provide accommodation for up to 14 male patients at a time. Up to four male patients will reside in the same room at a time. Smaller rooms are also available in the houses, fitting two male patients at a time. No special treatment programs are directly offered by Talbot House, but all patients are required to have already undergone detox and be sober at the time of admission. During the patient’s stay in any of the houses that the company owns, the patient will need to be an active participant of a 12-step recovery program. Patients will need to ensure they provide proof that they are attending these meetings to the house manager. A patient will also need to understand that they will have to stay at the facility for a minimum period of six months in order to be eligible for the housing programs offered. No therapeutic services are available to patients who come to Talbot House. The facility only specializes in providing male patients access to an environment that promotes sobriety. Patients will need to utilize a third-party service provider to gain access to individual therapy sessions, as well as 12-step group meetings. These are requirements for patients to continue staying at the Talbot House during their recovery phase. Patients are responsible for paying a weekly rental fee to continue staying at the house where they are provided with accommodation at. Patients will need to pay an intake fee prior to being provided access to accommodation at one of the houses that the company owns. The intake fee is equal to $160. This includes the first week’s rent, as well as the last week’s rent that the patient will reside at the facility. In addition to this intake fee, the patient will be billed $80 every week for their accommodation. Failure to pay this weekly rental fee may lead to the company taking appropriate measures – in some cases, and this may involve refusing to provide the patient with any further accommodation. It does not seem like Talbot House has been given any type of accreditation or license by national or local bodies. This is due to the fact that the company does not offer any direct treatment services to patients who come to them. All patients need to undergo recovery treatment at a third-party outpatient center. Basic amenities are fitted in all of the houses that Talbot House now operates. Instead of providing patients with bunk beds, there are comfortable beds, twin sized, in all of the rooms. Additionally, these houses are also fitted with appropriate furniture, including armchairs, dining room tables, refrigerators, coffee pots, and other amenities to ensure patients can feel at home while they are staying in one of the sober living houses that this company owns. It should be noted that all patients are responsible for preparing their own meals and buying their own groceries. Since Talbot House does not directly offer patients access to recovery treatment services that will aid in their journey to a sober life, the company does not focus a lot on providing patients details about their staff members on the website that represents the company. All that is mentioned on their website is that each house has a manager that oversees the operations of patients within the house. No details are provided regarding these house managers, however. Patients are required to undergo recovery services through a third-party service provider that has been approved by the management team at Talbot House. Any patients who would first like to understand how the operations work and who the house manager will be at the particular building where they will reside if they decide to utilize the sober living programs at the Talbot House should get in touch with the head office.